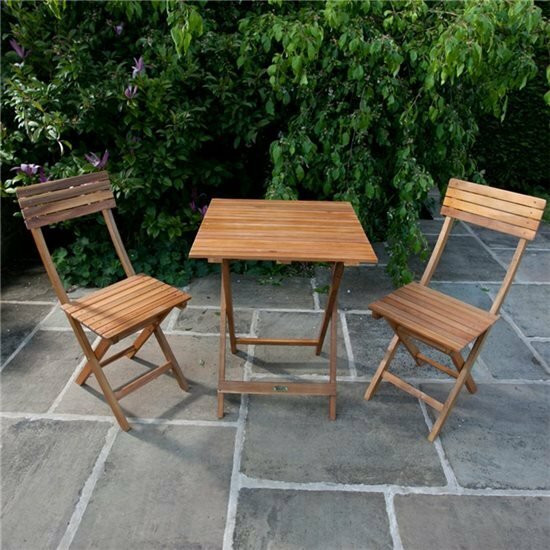 This fantastic Square Bistro Set is an ideal size for you to spread out your books and magazines or to accommodate lunch and drinks for two. 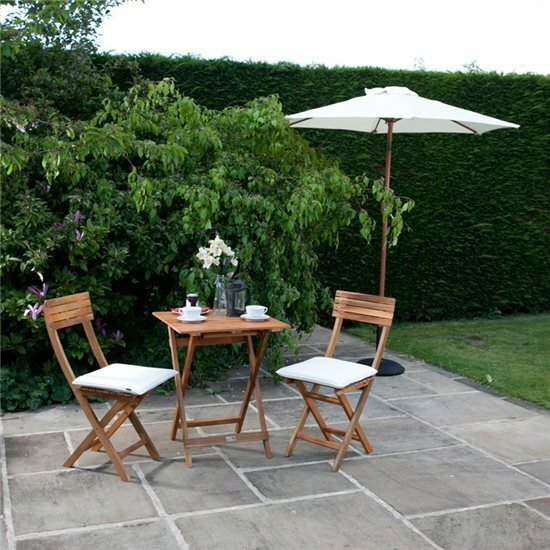 The Windsor Bistro Set is perfect for an alfresco breakfast and equally good for cocktails for two. 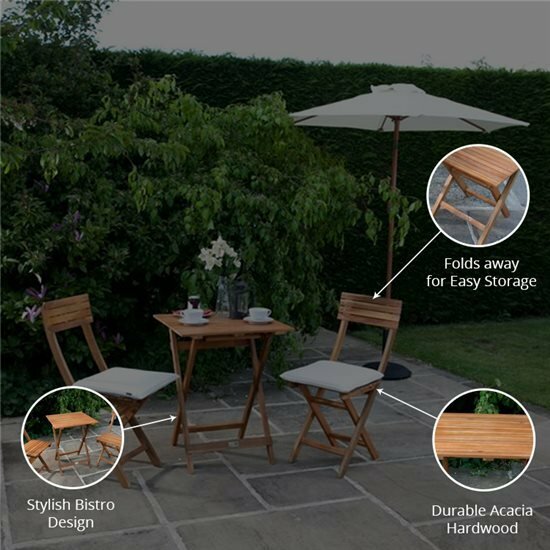 If you want to enjoy warm, summer days, you need a piece of garden furniture that perfectly combines style and practicality and that’s exactly what you get with this garden set from BillyOh. 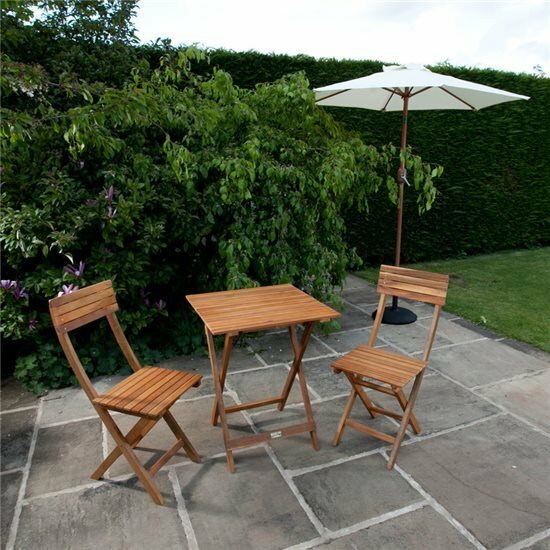 Constructed using stylish acacia wood, the BillyOh Windsor Square Bistro Set not only looks great in any garden, but it is also a practical and durable hardwood which provides a great finish. A fantastic feature of this set is the foldable table and chairs which easily fold away into a compact design which which is great for balconies or storing away when not in use. Perfect for a couple or homeowner with a garden that is tight for space. 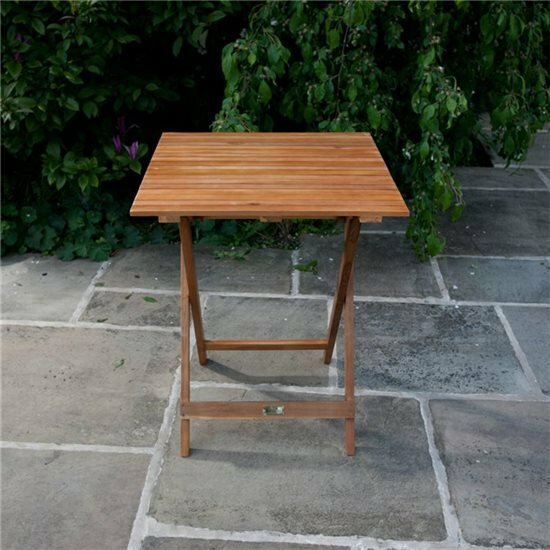 The folding table has got just enough space for you, a friend, or a loved one to relax at. So enjoy a chat or meal together on a warm summer’s evening! The stylish design brings french bistro living to your garden, while the acacia chairs and table provide the perfect match to both traditional and modern outdoor spaces. You really can’t go wrong with this fantastic-looking set! This fantastic-looking furniture set is made from acacia wood giving you that strong and durable finish. This furniture set’s strong suit is its easy-folding feature. If you’d like to store the chairs and table away when not in use, just simply fold them and keep them safe inside your garden storage. 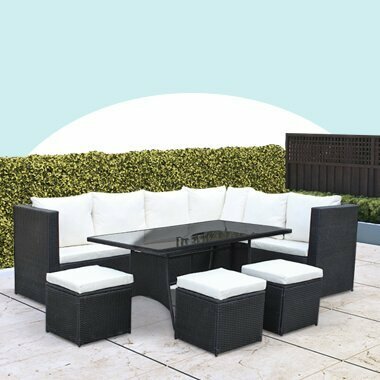 Whether for afternoon chats with a friend or outdoor relaxation, this chic furniture set provides you with comfort while accentuating the overall look of your outdoor space. Chair Dimensions 38cm x 78.5cm x 53.5cm 1'3" x 2'7" x 1'9"